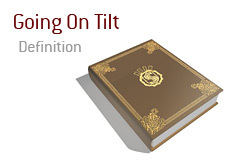 What is the definition of "going on tilt" in poker? What does the term "going on tilt" mean? "Going on tilt" is when a player becomes enraged about something and starts making ill-advised plays based purely on emotion. In a multi-table tournament, a player is dealt pocket Aces and raises pre-flop. 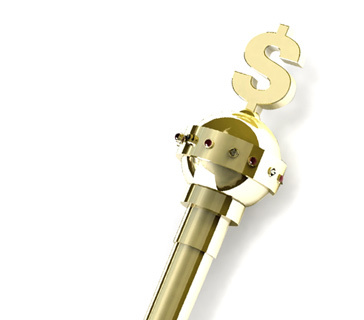 Action folds around to the BB, who decides to push all-in. The player with the pocket Aces snap-calls. The player in the BB turns over 7-2 offsuit. The flop comes 7-7-2, giving the player in the BB a full house. The turn and river are blanks, and the BB scoops a huge pot. The player who was dealt the pocket Aces still has a sizable amount of chips left after the hand, but he decides to push all-in every single hand purely out of frustration. He is eventually called by somebody with pocket Kings, and is eliminated from the tournament. This is "going on tilt". There is also the "fake tilt" moment, when a player suffers a bad beat, is dealt an extremely strong holding the very next hand, mumbles something (or types something) that makes people think that they are on ubertilt, and goes all-in the next hand. Somebody will likely look them up, even with a marginal holding, just because they think that the tilted player is pushing with anything.